I decided to pick this book up on a whim, and this being my first ever Jenny Han book, I wasn't entirely sure what to expect of it. I hoped for a cute, fluffy romance that would take my mind off things (okay, I'll say it- exams, okay? I should have been studying) and this book certainly did what I hoped it would. Lara Jean Song (who is half-Korean) is the middle sister of the Song girls- Margo is the eldest and Kitty the youngest. 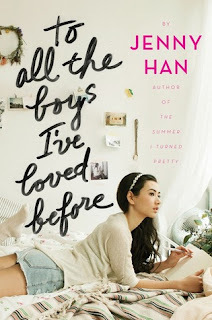 Lara Jean has a habit of writing letters to the boys she loved- these weren't love letters, though. So when Peter Kavinsky, the most handsome of handsome boys at school comes up to her saying he received her letter, Lara Jean is understandably mortified. On double checking,, she discovers that her letters have somehow been sent out to all the boys- her private thoughts supposed to help her move on in a sense, and were certainly not meant for the boys to actually read- and considering the fact that one of these boys is their neighbour (and her sister's boyfriend at present), Josh, Lara Jean knows not what to do. 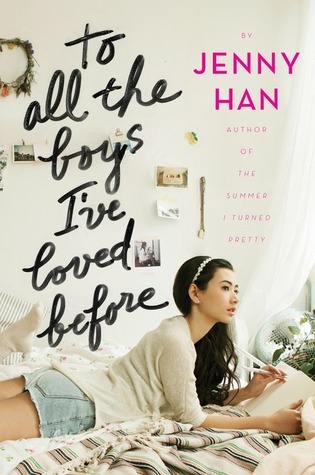 In order to avoid embarrassment and save face, Lara Jean compels Peter Kavinsky into a fake relationship...but what happens when the feelings start turning real? I loved everything about this book- the characters, the writing, the plot, the diversity, everything. Lara Jean was an extremely relatable character- I mean very relatable. She was impulsive, very in touch with her emotions and cried at the drop of a hat, even though it frustrated her to no ends (I do too, whether I'm angry or sad or happy- it's like tears are the only way I can show my real emotions and it's so ugh). She cared for her family, she loved her sisters, she loved baking and she'd rather stay home on a Friday night. She was a geek and she made it cool. She may have appeared immature at times, but aren't we all? Oh well, I'll speak for myself- I certainly am. She had no idea what to do when a boy expressed his interest in her and she proceeded to do the most cringeworthy things to the point that it seemed almost blasé on her part. She had a great character arc and I loved seeing her overcome her flaws and grow as a person. Peter Kavinsky was asghdlkmnowspqrty awesome. He used to go out with Lara Jean's ex-bestfriend Genevieve, and even though they had all been friends during their childhood, Lara Jean and Peter K had fallen apart. In the beginning I had my doubts about him, but by and by we got to see how his feelings developed for Lara Jean, and he did the cutest things for her even though she was blissfully unaware and naïve about it all. Genevieve was certainly a force to be reckoned with- she loved stirring up trouble and she was glorious at it. There were a lot of other characters, who each contributed in their own way. We got to see the other boys Lara Jean wrote letters to, and one in particular stood out- John- and I'm guessing we'll be seeing more of him in the future. Josh was a character I though I'd end up falling in love with, but then things happened and I ended up actually resenting him. However, when it comes to the love traingle, it actually worked for me this time- this probably had to do with the fact that both boys were likeable and it wasn't like Lara Jean was mooning over both of them anyway. 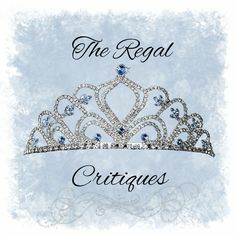 The sisters were amazing- I loved Kitty, the youngest of the three, and even though I kind of hated Margo- the eldest- at times, she was only doing what she thought was best, and it wouldn't have been tough being in her place anyway. She left to Scotland for her studies, and it was really interesting to see the rift that created between her and Lara Jean. Another reason why this book was relatable since my elder sister had to leave home to another country (after mariage, but still) and it all just hit home. The family dynamics was pure perfection. Lara Jean's dad singlehandedly brought them up after their mother passed away, and it was wonderful to see how they all managed on their own. Everyone chipped in, everyone cared and it was all so beautiful it made me wish I lived in the Song household. With them being half-Korean (biracial, yay!) we also got to see their food and just lots of food in general since Lara Jean loved baking and it was yummm fabulous! I think I've rambled on way more than I initially intended to, but I couldn't help myself- this book was truly, truly awesome and I hope you decide to read it too, if you haven't already! So yeah, it wasn't life-changing or profound, but it was an easy read that effortlessly made me smile like an idiot (and literally stay up all night reading it). It was gorgeous and you should definiteley pick it up sometime soon. AHHHH I LOVE THIS SERIES!! I had read Jenny Han's Summer series a long time ago, so when she came out with this series I was so pumped! I loved how fluffy it was and yet how diverse! I think it can be quite hard to find a diverse contemporary romance, but this was so original! Peter was such a cutie! I'm so happy you loved this! Diversity? Ooh, I love the sound of that! I'll definitely be checking out this series! Great review! I love this book, I can't wait to get to the next book. So cute and I totally love Peter! Ahh I'm glad to see another fan of this series!!! It is so totally cute and Peter is the BEST!! !